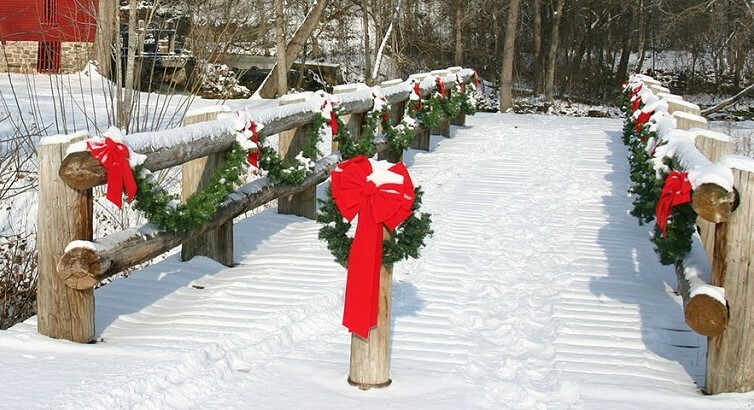 [NOAA] For those of you dreaming of a white Christmas, you can find places that have the best chance of being a winter wonderland according to weather history. 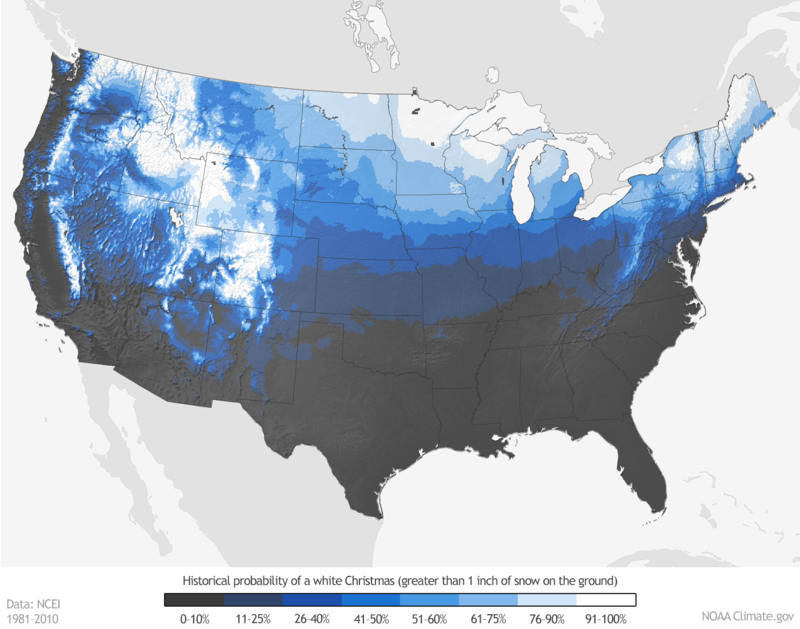 The “Historical Probability of a White Christmas” map shows the climatological probability of at least 1 inch of snow being on the ground on December 25 in the contiguous United States. 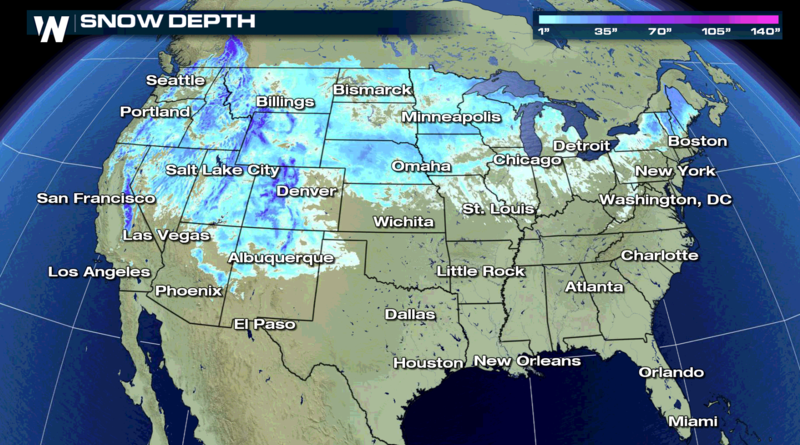 On the map, dark gray shows places where the probability is less than 10 percent, while white shows probabilities greater than 90 percent. This map is based on the 1981–2010 Climate Normals, which are the latest three-decade averages of several climatological measurements. This dataset contains daily and monthly Normals of temperature, precipitation, snowfall, heating and cooling degree days, frost/freeze dates, and growing degree days calculated from observations at approximately 9,800 stations operated by NOAA’s National Weather Service. You can find the Climate Normals for locations near you by using NOAA NCEI’s interactive map or search tool. 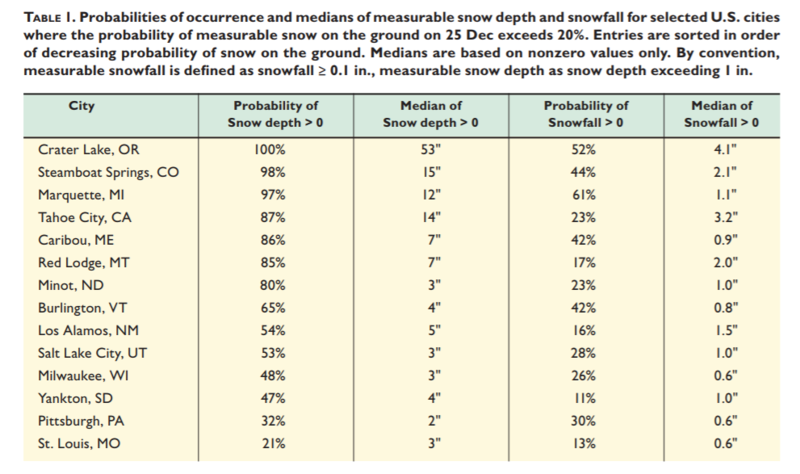 While the map shows the climatological probability of snow-covered ground on December 25, the actual conditions this year may vary widely from these probabilities because the weather patterns present will determine if there is snow on the ground or if snow will fall on Christmas Day. 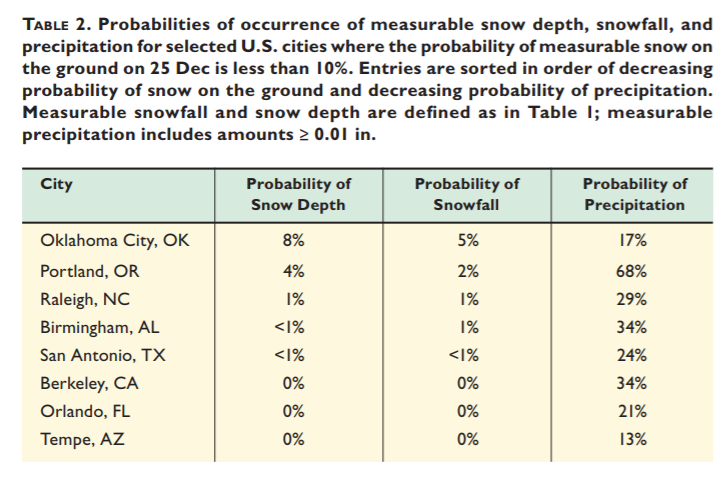 These probabilities are useful as a guide only to show where snow on the ground is more likely.